Anticipating the blooming of the corpse flower! 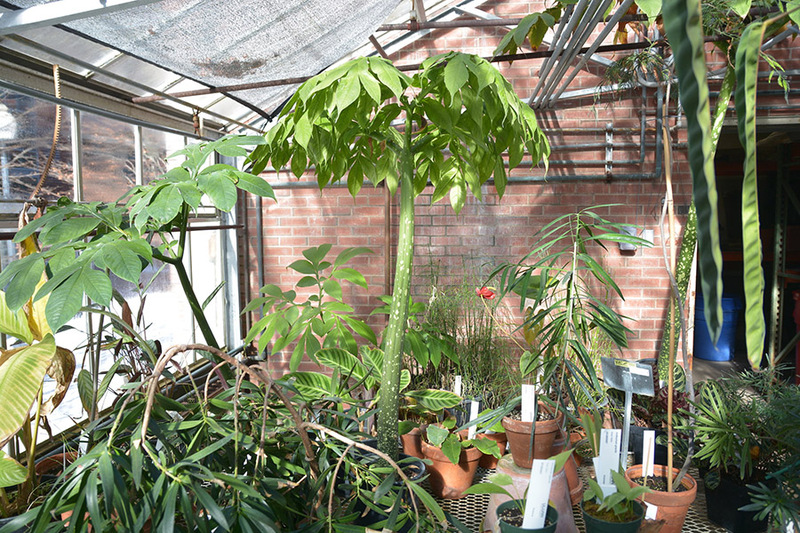 Our Biodiversity Education & Research Greenhouses host a few plants of Amorphophallus titanum, better known as the corpse flower. Some of us remember the long lines of visitors coming to see the largest inflorescence in the world and experience its unusual smell. Our plants are doing well, but it may take a bit more patience until we can see the majestic flower. See article in Daily Campus.